The top search result(s) that leads people to my blog revolve around my posts about my adventures with Splat Lusty Lavender hair dye, so in the interest of helping those people out, I should post an update about my hair. 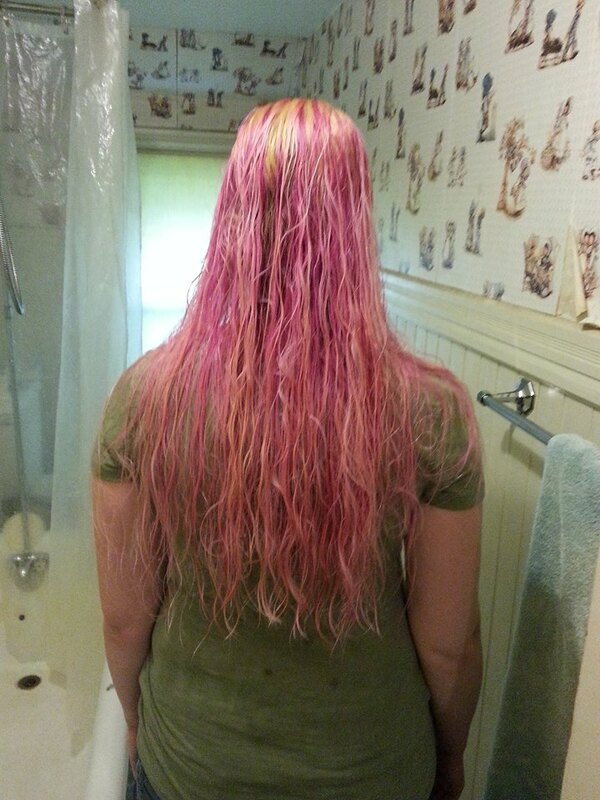 The last time I used the Splat Lusty Lavender was way back at the end of 2013 and I STILL have a pink tinge to my hair after several attempts at bleaching it (both at home and professionally) and coloring over it with my normal go-to dye of reddish-blonde. At this point, I’m going to just have to let it grow out and gradually cut it away each time I trim my hair. I loved having purple hair — Absolutely loved it! — but the Splat took several weeks of almost daily washing before it finally stopped bleeding on everything and by then the color had paled to more of a magenta. I can’t speak for anybody whose hair composition differs too much from mine, but I can say that if you have blonde/dirty-blonde hair that is very fine think long and hard about using Splat because it will be a decision that sticks with you for a very long time.